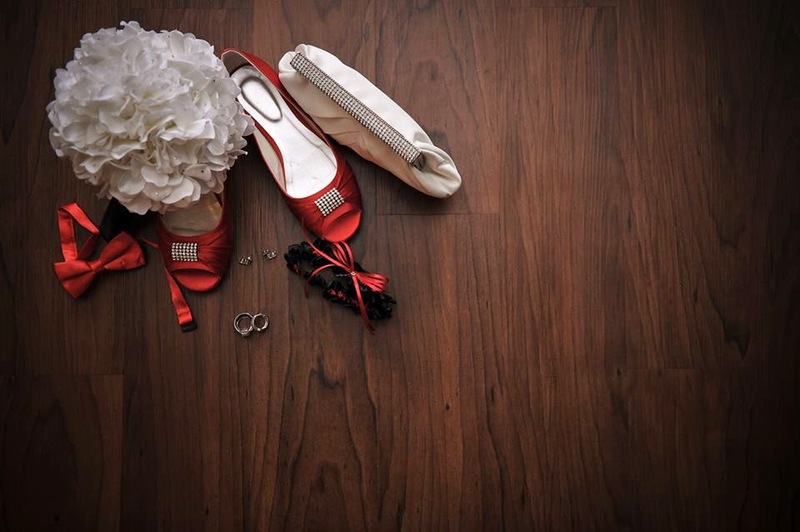 Bride Sarah just shared these fun pictures from her recent wedding to a firefighter. 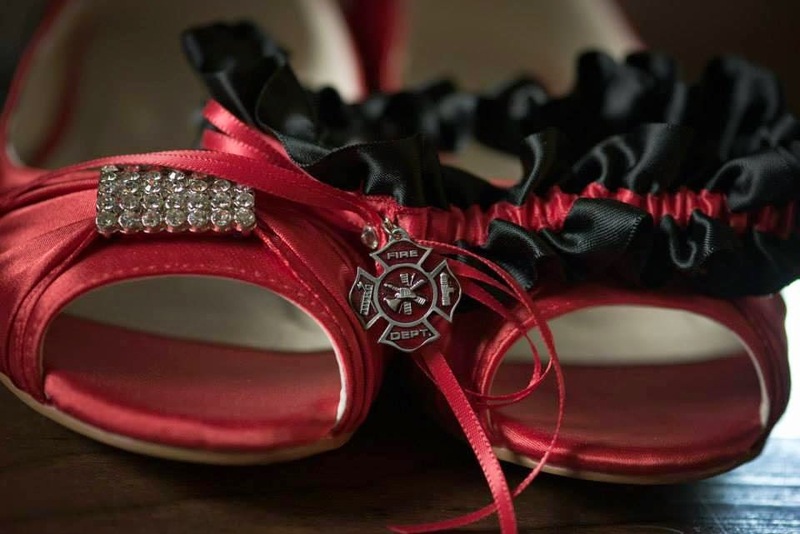 In her own words: "My firefighter husband thought this garter was a nice touch to our wedding. His response when he saw the photographer's photos was "What?! I threw that away!?" At the time of the removal, he didn't notice the emblem and I had kept it a surprise. I laughed, and told him not to worry ~ the garter came in a matching set, so we have one to save as a keepsake!" The garter matched Sarah's shoes perfectly! Find your own Firefighter wedding garter or garter set here in my shop!